With the new She-Ra and the boom in vintage-styled figures all happening, my MOTU addiction started resurfacing. I've had a "MOTU Like" line planned for Stagwolf since the beginning, called "Mangeloids", but the notion that the vintage style figure construction could still be viable really propelled me to get it started. Been working on this for about a month, and have a fully working buck-prototype, and have gotten most of the sculpting done on my first production male-body "beast" and production male head "cat". Female buck is in the prototyping phase now. 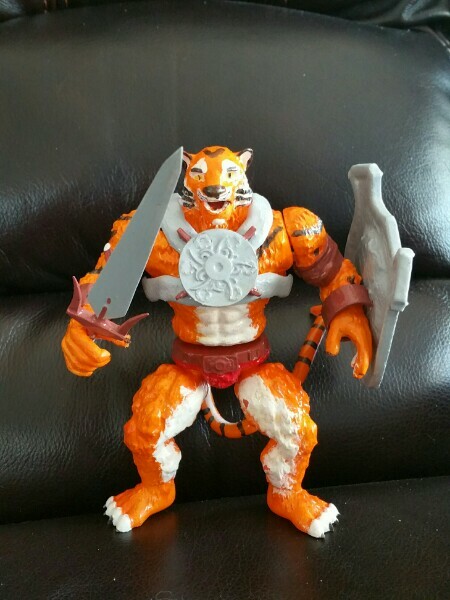 I'm planning on doing a mix of toys inspired by all the fun designs in "MOTU Bootleg" land, 80's stuff that never got toys, and characters from my own comic projects. But I fully plan on letting the community drive which designs get done first.